I have heard all the excuses... I'm not getting any younger. I am out of room. I have taken my project as far as I can. I don't drive it much any more. Sadly, I now am that guy. 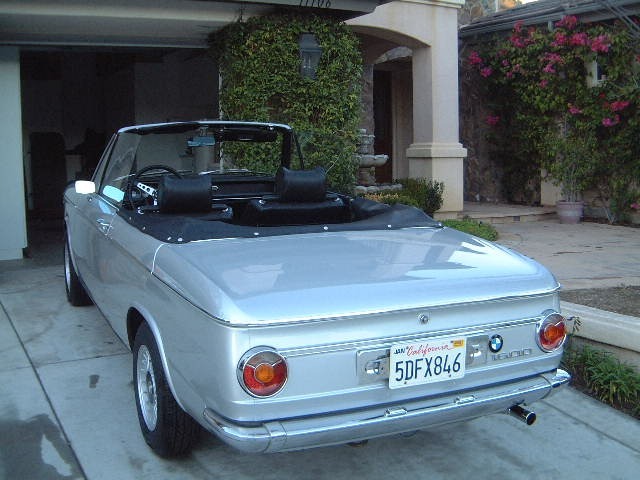 I purchased my 1971 BMW 1600 Voll Cabriolet in November 2003, shipped it from Belgium sight unseen. It had been restored in Belgium, but had been upgraded to a 2 liter motor from a 2000CS. A couple months after it arrived, I spun a bearing in the 2000CS motor and started a 2 year project to complete a total restoration of the drivetrain, including a rebuilt 2 liter motor, 245 Getrag 5 speed, 320i LSD, 320i rear brakes, ST springs and sway bars, Bilstein HD shocks and struts, rear subframe mounts, tie rods, center link. Bill Holmes at Bavarian Rennsport did most of the heavy lifting, I did most of the fine tuning (fuel and ignition). It is fast, sorted and is ready to be enjoyed by a new owner. I recently put together a video, so you can get an idea of the driving experience. It is registered and located in CA with a clear title, (not an easy thing to do now days), but I will assist with out of state transportation at the buyers expense. I am offering it here on the FAQ first, but will submit it to BAT if I don't receive any viable offers. 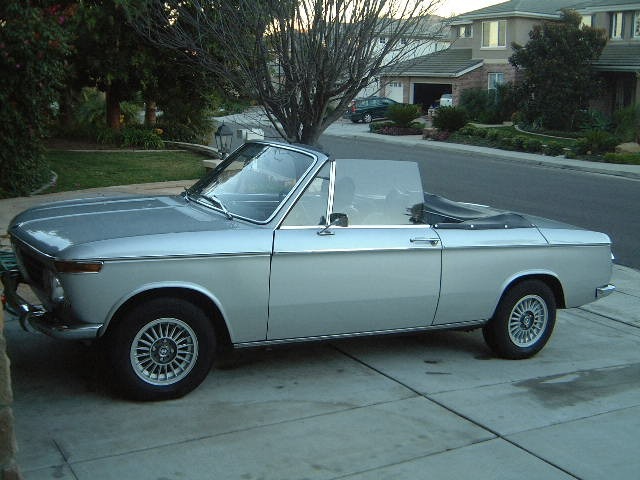 I am looking for something slightly less than the 1971 BMW 1600 Cabriolet sold at the Gooding Auction in 2014.
didn't think I would still be south of 70 when you sold this!